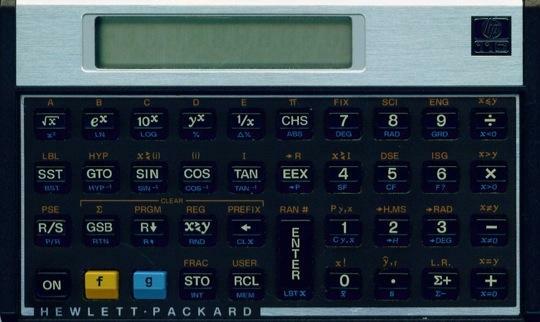 The HP 11c is a programmable calculator with an extensive set of built-in scientific and engineering functions. Hyperbolic and inverse hyperbolic trig functions. Factorial, % change, and absolute value. The HP 11c provided label addressing (0-9 and A-E), subroutines (nestable to 4 deep). 8 conditional tests, increment/decrement loops, and 2 flags. For program editing, the calculator featured implied insert (instructions entered didn’t overwrite the current instruction) and deletion via the backspace key. Introduced in 1981. Discontinued in 1989. What are the batteries for this HP 11C ? You can download an Owners Handbook here: h10032.www1.hp.com/ctg/Manual/c00503576.pdf Section 4 - Display Control, starting on page 67, will answer your question. to set to 0.00 (with dot instead of comma 0,00) turn it on while keeping "." key pressed... the same again to get back to ","